So, I have an embarrassing admission to make. I got barely any reading done in 2010. In all, I finished only about a baker’s dozen worth of books. Two of those were re-reads. One of those re-reads was scripture, so I probably shouldn’t even count it (but I do). Two more of these books were novellas, including Bree Tanner. (The other was Henry James’ Daisy Miller). So, if you take those out, I read only nine books this year. Even including them, I finished exactly 40 less books than I did in 2009. Humph. The books I did read, though, were amazing. Incarceron by Catherine Fisher, for example. I’ve never been sucked into a fantastical world as quickly and fully as I was here, or at least, not in a very, very long time. I’ve also started and thoroughly enjoyed the Percy Jackson series. The movie, not so much. The books, however, are a fast-paced wallop of fun, fun, fun. You don’t see the character-development much, but when it hits, it doesn’t feel forced, either. I also read Leviathan by Scott Westerfeld, and cannot recommend it highly enough. Such thorough detail and beautiful tie-ins with history, along with some seriously strong characters. Lastly, I was able to read Shannon Hale’s fourth Bayern novel, Forest Born, and while it took me some getting into, I ended up loving the character as much as any of Hale’s other darlings. I did see a lot of movies this year, a la the serious courting that I mentioned before. My favorite was, of course, Harry Potter. The Potter franchise really does continue to get better and better, and the fact that there’s only one film left rips me up a little bit. The first installment of Deathly Hallows followed the book so surprisingly well (after so much was left out of earlier films) that I couldn’t help but be grateful for David Yates’ devotion to the project. And want to read the novels all over again, pronto, which I think is something a good book-based movie should always do. My other favorite of the year, I have to admit, was Despicable Me. That movie was too cute for words, and I can’t wait to own it. The littlest girl was my favorite, followed closely, of course, by the minions. Rounding out my favorite flicks of the year? Sherlock Holmes, Iron Man II (yes, two RDJ, but then I’ve always loved him!) and Tangled. I’m a little ashamed to say that I don’t think I’ve made any significant music discoveries in 2010. Really this year was about immersing myself in old favorites, and getting to know their older stuff better. Mainly Tegan and Sara, and Badly Drawn Boy. TV was sparse this year for me, too… but Gossip Girl continues to be a delicious guilty pleasure… and Vampire Diaries has really surprised me with how much its made me love it. You can blame Ian Somerhalder for that. I sure do. I also caught up on Lost this year (again, thanks to Ian Somerhalder)… which maybe deserves a post of its own. There are four days left of 2010, and I find that I’ll be missing the year a little. This year has been such a significant one for me, and next year is still wide open with possibilities, and a whole world of things that I can only half begin to imagine. Change is good, though. Change hopefully means improvement. Actually, I’ve already started some big changes… I’ve finally gotten serious about branding my name on the internet as a writer, for example, thus this new blog which I have to say I like the design of very much. This year is a new start for Tales From the Hollow Tree, as well. Isabelle Santiago and I realized we were doing ourselves a disservice by using it mainly as a review blog—we want to highlight our own writing much more than we have been doing, so we’re taking a page from the Merry Sisters of Fate blog and we’re going to be doing an experiment in flash fiction, providing four short stories a month—two from each of us. We’re hoping it will teach us a lot about writing and get us out of our comfort zones a bit. As far as life goes, Christmas was a wonderful event. My very first spent with my husband, and a deliciously sweet little thing. I didn’t get out any Christmas cards this year, sadly, but I have a serious resolve to do things better next year. Then again, isn’t that true for almost everyone, every year? 1) Finish Jethro, Edit and Query. 2) Iron out the plot and hopefully finish Secret Project. 3) Write two short stories per month on Tales From the Hollow Tree. What are you going to be working on next year? Welcome! This blog is not quite a blog just yet. 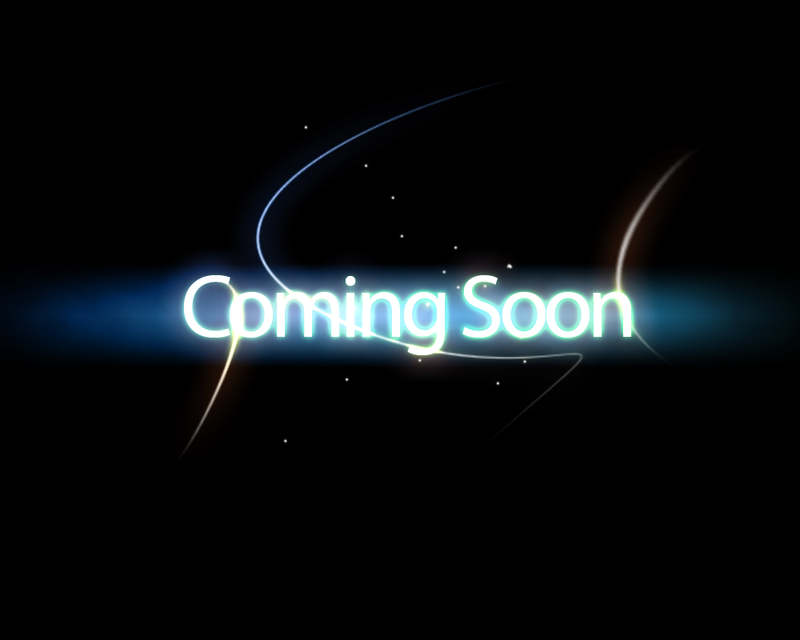 It will begin being a true-to-life blog on January 1st, 2011. Meanwhile, check out my About page, and if you’re looking for older blog entries, take a gander at Tiemeinwords, or Tales From the Hollow Tree. This is the personal writing blog of Lisa Asanuma, co-founder of Type Set, Inc Editing and Formatting and also of Tales From the Hollow Tree. 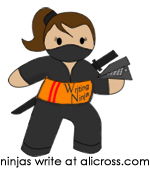 Lisa is a freelance writer working on her debut novel. When not writing, Lisa is a knitter, crocheter, and all-around stitch-witch, and a sometimes bookbinder. My year of wild consumption. 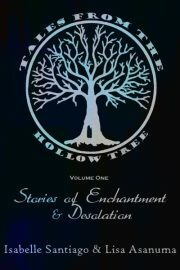 These are free short reads I've posted on TALES FROM THE HOLLOW TREE. Enjoy them free! Something was tickling the back of Annie’s mind. Something that she knew was there, but she felt like she didn’t want to know. The image of the train’s light slicing through darkness shook her again as the boy’s wailing started to die down. No one could believe that a hero could be so ugly. They don’t have to believe it—they see his face only when it is covered by his helmet. He is not like my husband. When we were seven, it was the names of boys we thought were cute. We pinky swore to take the names of each others’ would-be future husbands to our graves. That’s the closest I can come to a description of how I felt. Her eyes were big and brown and seemed to hit me in the stomach like a physical force. I snap my suitcase shut. It’s a classy vintage number—maybe I should have thought about how much space it’d take up in my dorm room when I saw it at the thrift shop, but I couldn’t help myself. It was so pretty. I can’t remember where I am or how I got here. Can’t remember the enemy who has shot me, even. Can’t fathom who could hate me so much. All I know now is that I am dying and alone—that there is a hole torn through me and that the poets are right. It was tradition. On the last day of Autumn before the oncoming death of Winter, lights are set adrift on the sea to carry prayers for the safe return of our men, lost on far-off waves, far-off shores. He headed towards the beverages, reached in for a sports drink, gritting his teeth as the fabric of his long-sleeved shirt chafed against his wrists, where the skin was raw and red. He chuckled softly. Finally free of their metal restraints, covered in soft cotton, the welts there ached more than they had in years. It was all over the news. The Milky Way would be extra-visible due to atmospheric somethingorother. The scientist were explaining it left and right. The pictures, they said, would be breathtaking. And they were. But no one saw what I saw. I was noticing it more and more. The gnomes were going missing. Disappearing one at a time. There were only about six left. Well, six, and Bopper’s hand.